The US, Europe and the Middle East are again refusing to connect the dots of the terrorist threat, recalling the denial that marked the peak period of Al Qaeda’s atrocities in the early 2000’s. When the US Defense Secretary Ashton Carter trumpeted the Fallujah victory over the Islamic State on June 27, he neglected to disclose that the real victors were Iranians – not Iraqis. 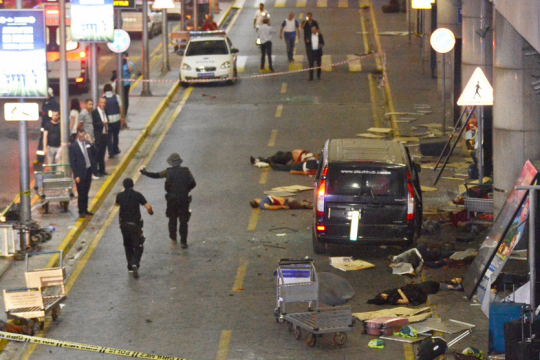 The next day, an ISIS suicide attack on Istanbul’s Ataturk airport overshadowed that success, killing at least 41 people including 13 foreign nationals and injuring more than 230. As the Obama administration labored to conceal from the public in the West its strategy of using Shiite forces to hammer ISIS in Iraq and parts of Syria, the Sunni terrorists retaliated in Istanbul – and not just there. Seven ISIS suicide bombers, some on motorcycles, exploded on Monday, June 27, in a Christian village in the Lebanon Valley near Baʿalbek. A week earlier, an ISIS suicide bomber blew himself up at the gates of a large Jordanian military base on the Syrian border. The connection between the ISIS arenas and cause and event is there for anyone who wants to see it. ISIS has a ready store of suicide bombers who are willing to blow themselves up, not just because they are ‘extreme fanatics’ or “thugs” as President Obama insists on defining them, but because they believe they are fighting a religious war: Sunnis against Shiites, Sunnis against Christians and Sunnis against Jews. On this point, Obama is in denial. Turkey’s Sunni President Tayyip Erdogan was swiftly punished for concluding a political-military-intelligence agreement with the Jewish state. That same day, three suicide bombers, probably waiting for months at a safe house near the Istanbul airport, were ordered from ISIS Syrian headquarters in Raqqa, to go into action. Neither the dense US intelligence net in the region, nor Turkish and Israeli intelligence managed to intercept the order. DEBKAfile intelligence sources point out that the highly secure Ataturk airport, the third largest in Europe, is not the only one on the continent at which ISIS suicide units are lurking ready to strike. American-European intelligence input points to their presence near at least two or three other airports in Europe. The problem is that the intel is very general, pointing to intent, with no specifics on countries or airports. The public in the West and Middle-East are not told either about the ‘small’ victories scored by ISIS on the battle field. For instance, ISIS forces managed to block the Syrian-Hizballah advance towards the highway leading from Palmyra to Raqqa, inflicting heavy losses despite Russian air cover. In Israel, where security awareness is usually high, no one was told about the successful ISIS engagement at the Syria-Jordan-Israel border junction bordering on the Israeli Golan against US-trained and armed Syrian rebels, who fought under artillery cover from Jordan. In other words, ISIS has established itself on the Israeli border, a few kilometers away from the Sea of Galilee and Tiberius. The Islamic State is fully geared to respond to such losses as Fallujah by going for strategic gains on the ground and inflicting horrible retribution on its victims by remotely activating sleeper cells of suicide killers. Rather than being degraded, as Obama claims, ISIS is fully equipped to target its victims across several continents. On Tuesday Istanbul airport was its chosen target. Now, we must wait and see who is next. [ZurichTimes] DebkaFile’s analysis here looks correct. The Demons of Daesh after suffering losses and cutting off of funds and arms are now responding or rather lashing out with the lowest common denominator and using their suicide vest detonators to inflict damage on soft targets that are very difficult to guard. These are cowards who are direct Demonic possession from the forces of Ba’al and the other Demons that are worshiped in that region under the disguise of Islam. Targets such as shopping malls, airport entrances, and sporting events. Anywhere large groups gather to enter into a “secure facility”. You will find a bottleneck of bodies usually in such places as peoples are lined up in the security checkpoints waiting to enter into a secure area. And that is the point where the Demons of Daesh are choosing to target. This incident unfortunately will not be the last as we enter a changing landscape of power in the Middle East. What we are really witnessing with Turkey making up with Israel and Russia at the same time is that the fight against Iran or the Persian Empire is now officially on. We are now witnessing the birth of Pax Judaica as we have reported on in previous posts and the use of Islam as the “Fall Guy” for all eventualities and fallouts and as fodder for the cannons. The war in the Middle East with the fall of Fallujah and the attack on the airport at Istanbul means strategic changes have taken place and these events are manifestations of these political changes as well as tactical changes on the ground. Get a few frustrated, traumatized and misguided Muslims apply some good old fashioned CIA and Mossad perfected mind control techniques on them then train them on how to shoot and use detonators and then send them into crowds of innocents to cause mayhem and bloodshed. It has been working for the last few decades so why stop such operations now. Just change the name tags and you are good to go; just replace Daesh with ISIS with ISIL with Al-Qaeda with Al-Nusra or the Free Syrian Army. These are all Demons of Ba’al. As we have reported on previously and will keep repeating over and over again until people understand that all 3 world religions of the Book; Islam, Christianity and Judaism have been hijacked and co-opted into a Demon worship cult in disguise and are now masquerading as world “religions” through the use specifically of the Wahhabis, Jesuits, and Hasidics “religious leaders”. Beyonce’s ‘LEMONADE’: An Occult and Demonic Illuminati Initiation into Satanism. 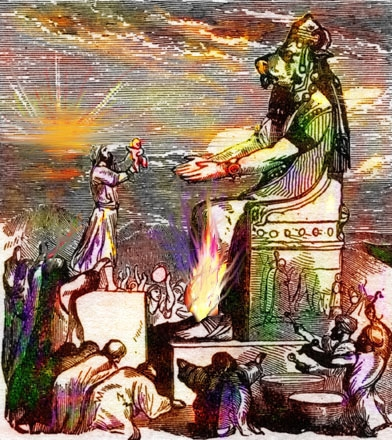 They all in fact secretly worship and answer to and derive their powers and plans from the Demons known as Ba’al, Hubal, Marduk and Mithraism. As a group they are also known as the Donmeh and Zevites. This cult needs to be studied and understood if you want to know who or what is at the heart of the troubles we are witnessing nowadays. And yes there are plenty of evidence to back up such claims and allegations because they are based on historical empirical facts. Is it any wonder or just a “coincidence” that the name who opened the Temple of Palmyra or Ba’al in London just a few months earlier is now the same man who is poised to takeover as the presumptive Prime Minister of Great Britain? It sounds like a well orchestrated Palace Coup? Did Ba’al not Crown his new Leader after he was welcomed into the City of London aka New Jerusalem. How much longer will Britain be Great after Boris Johnson the who lineage is not only British, but a most bizarre combination of American-Greek-Turkisk-Swiss-French-German as well as being descended from a Christian-Jewish-Muslim family tree? It is truly a lineage to behold. However, what is not in dispute is that the Demons deliver gifts of power and prestige as illusions to keep their misguided believers busy in their misdeeds. Johnson was born on 19 June 1964 at the Clinic, a hospital on the Upper East Side of Manhattan in New York City. His birth was registered with both the US authorities and the city’s British Consulate, and he was granted both American and British citizenship. His parents are both English. His father, Stanley Johnson, later a politician and author, had moved to the United States to study creative writing at the University of Iowa, before transferring to study economics at New York’s Columbia University. Boris’s mother, Charlotte Johnson Wahl (née Fawcett), an artist, was from a family of left-wing and liberal intellectuals and married the politically conservative Stanley in 1963, before accompanying him to the U.S.
Stanley’s father Johnny Johnson had been born Osman Kemal in Bournemouth to an English-Swiss mother, Winifred. Johnny’s father, Ali Kemal, was a Circassian-Turkish journalist who was killed before his son’s birth, during the Turkish War of Independence, for his anti-Nationalist sympathies. When his mother Winifred died shortly after childbirth, Osman was orphaned. His English maternal grandmother took him in and renamed him as Wilfred “Johnny” Johnson, rejecting his Turkish ancestry. Stanley’s mother Irène Johnson (née Williams) was English-French and descended from an illegitimate daughter of Prince Paul of Württemberg. Paul was a great-great-grandfather of Irene and through him, she was a descendant of King George II of Great Britain. Via this connection, Johnson may be related to most of the royal families of Europe, and he is an eighth cousin of British Prime Minister David Cameron. Johnson’s mother, Charlotte, was the daughter of barrister James Fawcett. She was the granddaughter of Americans Elias Avery Lowe (a palaeographer of Russian Jewish descent) and Helen Tracy Lowe-Porter, a translator. In reference to his varied ancestry, Johnson has described himself as a “one-man melting pot"—with a combination of Muslims, Jews, and Christians as great-grandparents. 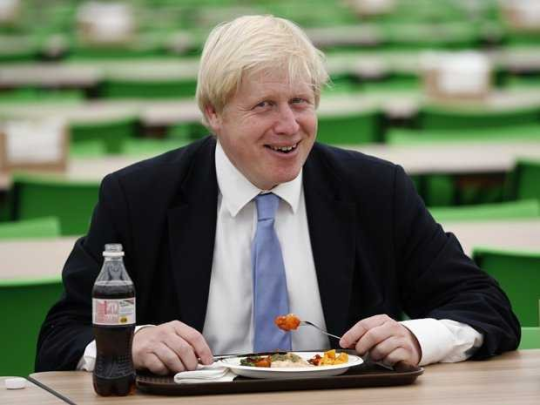 The journalist Toby Young has described Johnson’s background as being "lower-upper-middle class”. Boris and Ba’al are have joined hands and are now taking Britain for a ride down the preverbal Rabbit Hole. Unfortunately the rest of Humanity is going along for the ride with them. Hold on to your hats boys and girls this ride will get bumpy with Boris and Ba’al. And no such events are not “just coincidences” we relegated Coincidence and Conspiracy Theories to the garbage bin of history a long time ago. Please find a new Theory to hold onto in your disbelief. At least try to come up a better explanation for your disbelief before you meet your Creator.